This weekend was not a stellar weekend for operating, for myself. Although the bands were very active, with lots of interesting stations, I didn’t have much luck. I did work one new one, though. I think the problem was that there were such good conditions, with so many contests going on, I just didn’t have the oomph to break the pileups. But, on to the pluses! I downloaded and tried the beta for WSJT-X ver. 2, and found the transition painless. The old message format worked flawlessly and so did the new one. I’m quite satisfied with the update, and especially am pleased that “RR73” is the default now instead of being an option. It was a real pain having to set up the change every time I opened the application. 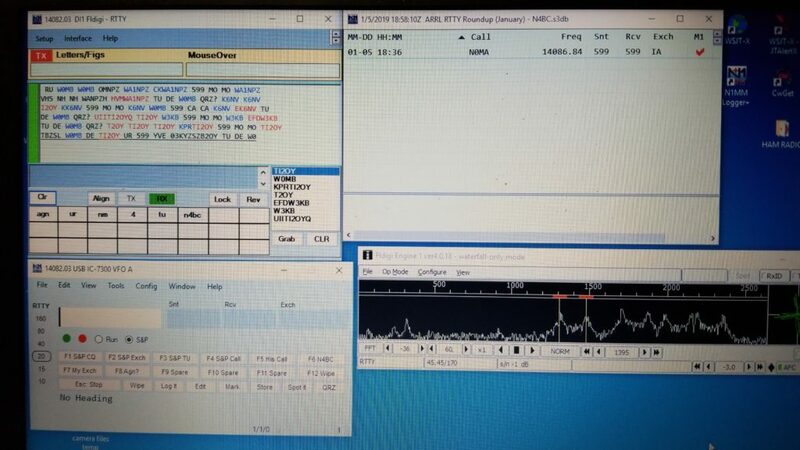 Also, FT8Call is now JS8CALL, and a new version of that developmental software is available. I downloaded the new version, but didn’t see much activity when I checked. More to try this week! I also downloaded Win4IcomSuite which, if you don’t know, is a control software that works with my IC-7300 and other radios. It allows you to control all aspects of your Icom radio from your computer. It also allows remote control of those radios over the internet. I’m looking forward to putting it through its paces. Reviews by users are positive. Another thing I like about it is that it supports the integration of third-party applications through virtual com ports, and seems to do it very well. I’m still looking for an earpiece for my D-Star handheld. Once again, Icom thinks the thing is made from precious metals and gem-grade plastic. I want something that doesn’t require a loan to acquire. So you can see, lots of new(er) software to play with this week, and that should keep me busy. We’re watching Hurricane Michael, which may bring us some heavy rain and winds this weekend. Lots of variables there, though, and a long time until Saturday.